New Hampshire is home to large tracts of rugged wilderness, skyscraping mountain peaks, and some of the most pristine bodies of water in all of New England. Tucked away between the forests and hills are quaint, waterfront towns that erupt in life during the summer months. Today, we're breaking down the top 5 best New Hampshire lakes for pontoon boating. With 944 bodies of water in New Hampshire, we'll leave the other 939 to the experts at the New Hampshire Lakes Association. Located west of Concord, Lake Sunapee is New Hampshire's sixth largest lake at just over 4,000 acres. Bordered by Mt. Sunapee State Park, Mt. Sunapee Ski Resort, and the John Hay National Wildlife Refuge, the lake is a beautiful centerpiece in this popular outdoor recreation destination; there's even a lighthouse for a pontoon boat photo op. Just minutes south of White Mountain National Forest lies Squam Lake. At nearly 6,800 acres, Squam is the second largest lake located entirely in New Hampshire. It's location at the crown of the popular Lakes Region makes it the perfect starting point for a pontoon boating adventure that you'll never forget. While we should probably stick an asterisk next to Umbagog Lake since it spills across state lines into Maine, most of it is in New Hampshire so we'll count it. Umbagog delivers a level of peace and tranquility that is becoming more and more difficult to find. Set your Bennington Pontoon to cruise, and enjoy the views. If bustling New England villages are more your style, Ossipee Lake is the perfect place to plan your pontoon boating adventure in New Hampshire. 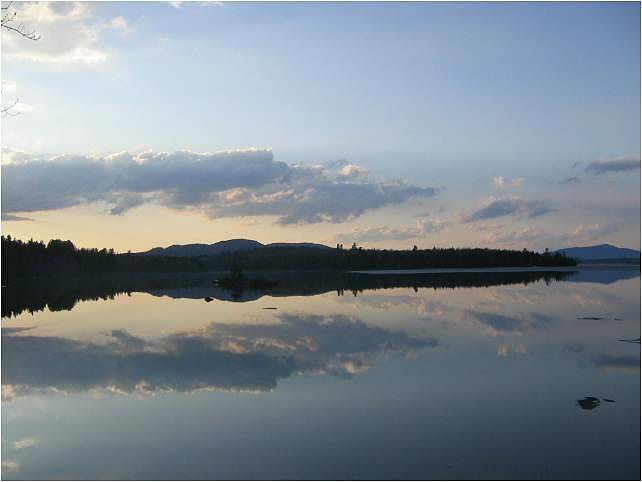 Located halfway between the Lakes Region and the mountain towns of Conway and North Conway, Ossipee offers sweeping views of the White Mountain National Forest from the comfort of your boat. No list of the top pontoon boating lakes in New Hampshire would be complete without the grandest lake in the Granite State, Lake Winnipesaukee. Spanning more than 70 square miles, and home to a whopping 258 islands, it's no wonder boaters and vacationers have flocked here for generations. Located right in the middle of the state, a trip to Lake Winnipesaukee puts you close to many of New Hampshire's most popular destinations including the White Mountain National Forest, North Conway's Shopping District, and multiple amusement parks including Story Land, Santa's Village, Clark's Trading Post and Whale's Tale Water Park. Now that you're ready for a pontoon boating adventure in New Hampshire, the only thing left to do is to find your next Bennington Pontoon Boat at a dealer near you.